Funny that one of the most classic Mexico City dishes is a crepe dish. It is such a favorite for Chilango (a.k.a. 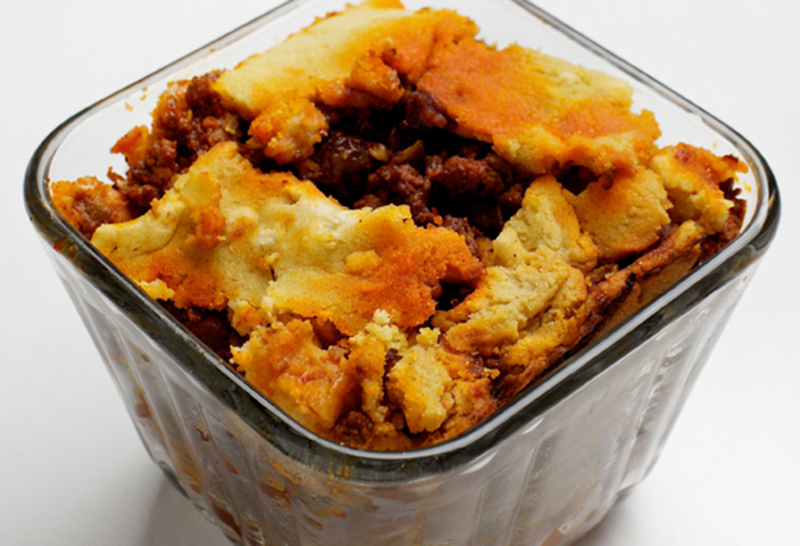 people who live in Mexico City) weddings that, if my memory doesn’t fail me, one out of every two weddings I’ve been to has served this dish. It is considered special, delicate and celebratory. 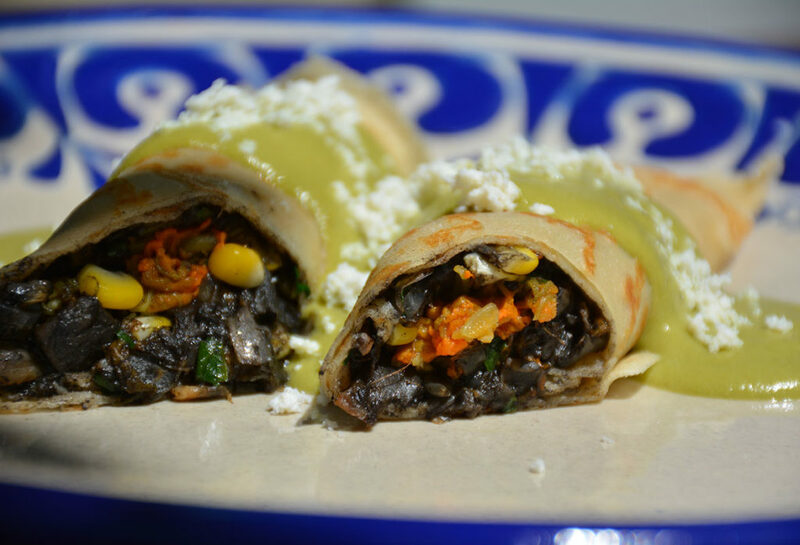 Keep Reading "Huitlacoche, Corn & Squash Blossom Crepes with Poblano Sauce"
I don’t think twice about eating a hot stew in the summertime. And, as far as I know, millions of Mexicans feel the same way. 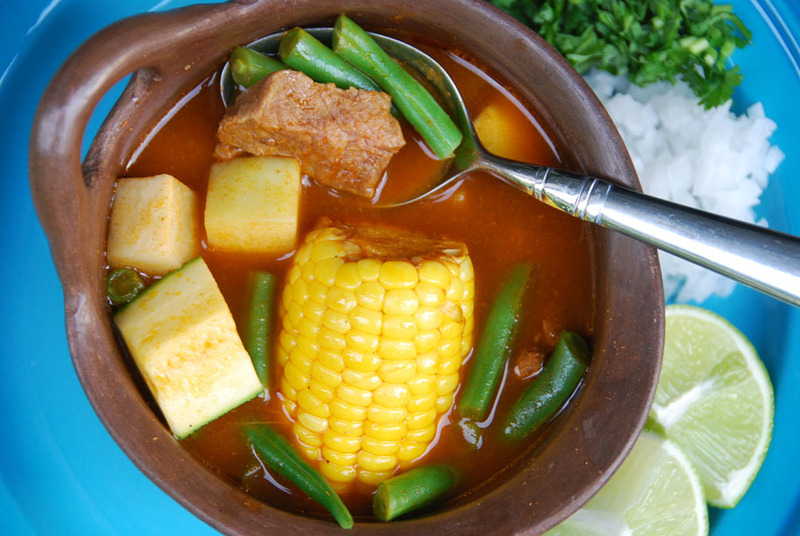 You will see Pozole served in fondas in the middle of June, hot Caldo de Camarón as one of the most popular items on beach restaurant menus, and the famed Mole de Olla being ladled, sizzling hot from the pot, in markets all over the country at peak midday heat. 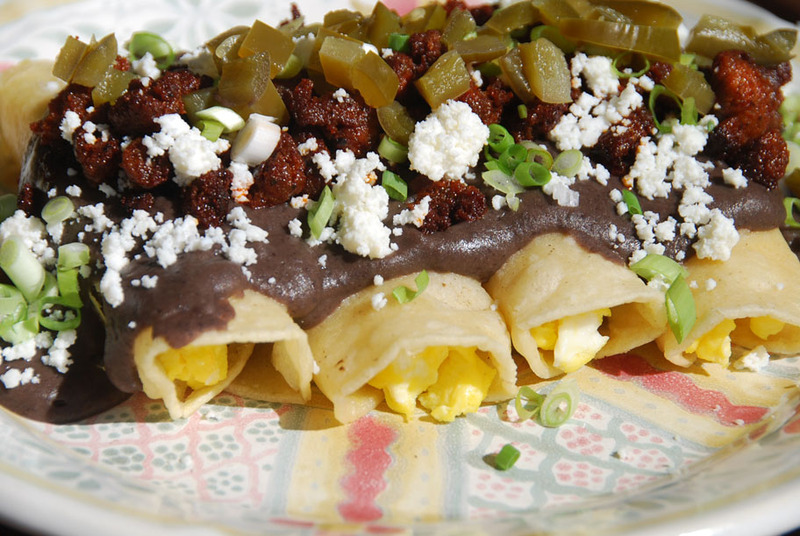 Keep Reading "Mole de Olla"
Keep Reading "Big Brunch Enchiladas"
Tamales are it. If you’ve eaten one, you know it. Simple. When ready and steaming hot, unwrap the edible bundle and eat swiftly, no fork, no knife, bite by bite. So good. 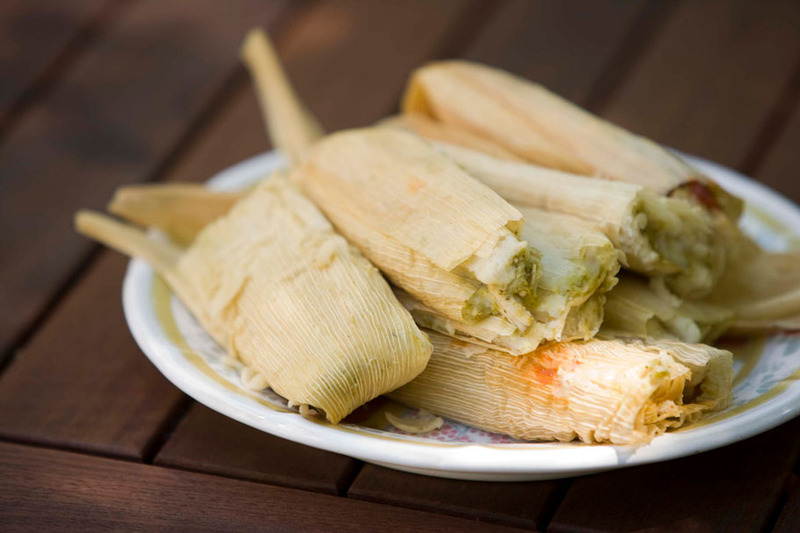 Yet as simple as it may sound to write a post about tamales, I could dedicate an entire series of cookbooks to their endless possibilities, and in the end, not have covered them all. Keep Reading "My Favorite Tamal of All Time: Chicken in Green Salsa"
I could write an endless post on all sorts of tacos and all they can do for you… But, if you want to feed your family a generous, satiating, and super tasty weeknight meal, make them bricklayer tacos. Step by step instructions follow below. But as I cook, let me quickly reflect on The Taco. Invariably, after you chose, she’d ask, “you don’t like the way I make the other one?” She’d barge in, make room on your plate and serve you the kind you hadn’t picked, right next to the one you had chosen. Keep Reading "Do You Want it Red or White? 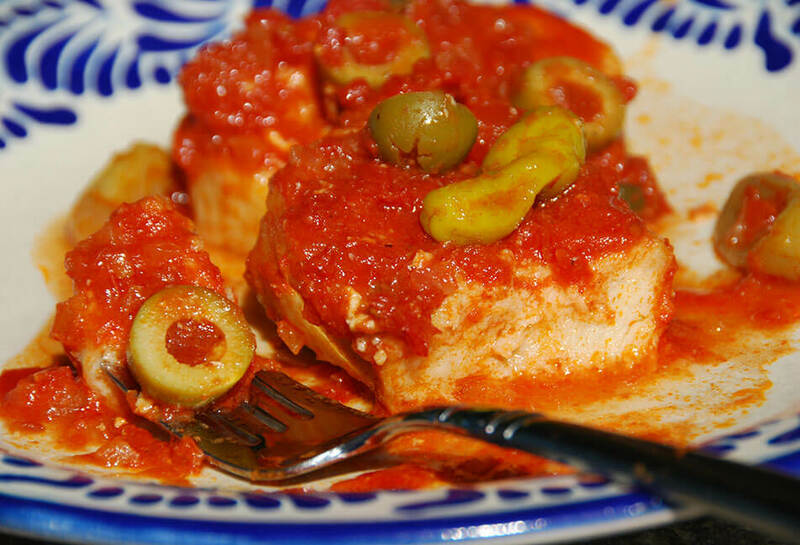 Mexican Style Gefilte Fish"
It was my friend Tamara´s birthday party. Her husband, Sean, an American who speaks and acts like a Mexico City native (says a Mexico City native), made the dinner for the 40+ guests. The guests were drinking, eating and laughing until their stomachs were hurting, usual for their home. 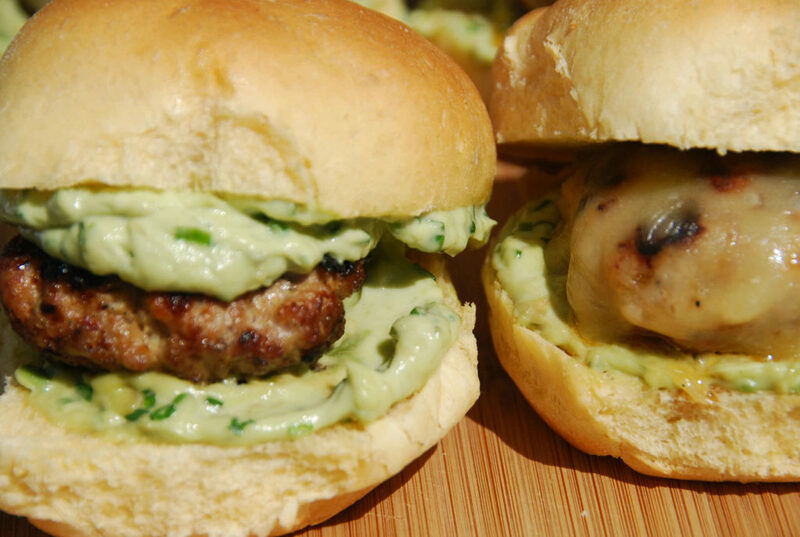 Keep Reading "Sean’s Cheesy Chipotle Pork Sliders with Avocado Spread"
Keep Reading "Make It, Freeze It, Take It: The Mexican Casserole"
Barbacoa is one of those iconic Mexican foods. 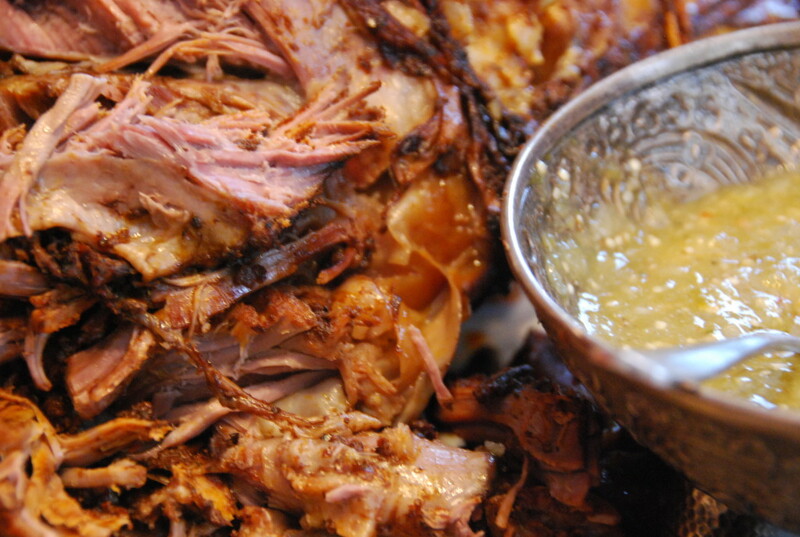 Juicy, tender meat that falls off the bone, infused with a rustic, smoky flavor and a jungle like fragrance. 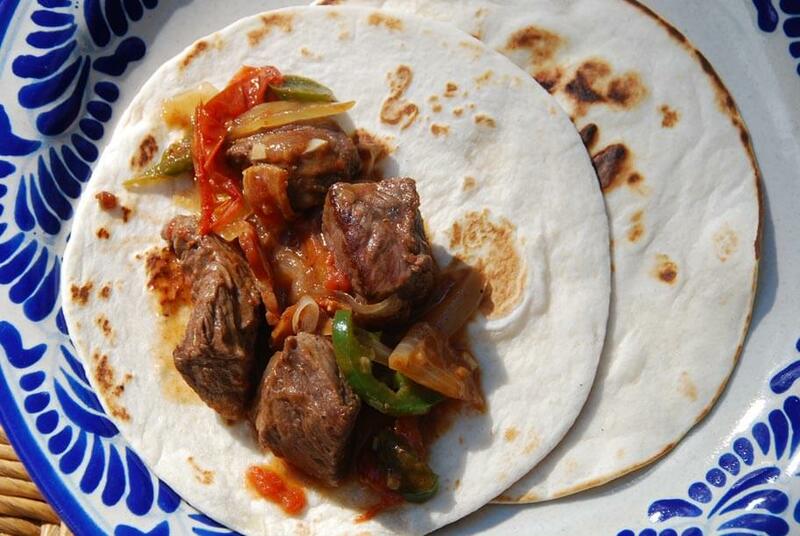 It uses a cooking technique that began in ancient times, long before the Spanish arrived, and it lives on to this day across Mexico in places that specialize in making it. Of course, there are accessible homestyle versions too. Keep Reading "Lamb Barbacoa in Adobo"
You can do fabulous things with pumpkins aside from spooky faces and pumpkin pie… Just ask any Mexican. We have a way with pumpkins. Native to Mexico, pumpkins have been devoured there for centuries, in their entirety. The seeds are addicting as snacks, used as a hefty base for salsas, soups and sauces and more recently sprinkled on top of many dishes. The pumpkin meat is used for soups and stews, and along with the entire rind cooked in a piloncillo syrup, becoming a traditional favorite known as Tacha. 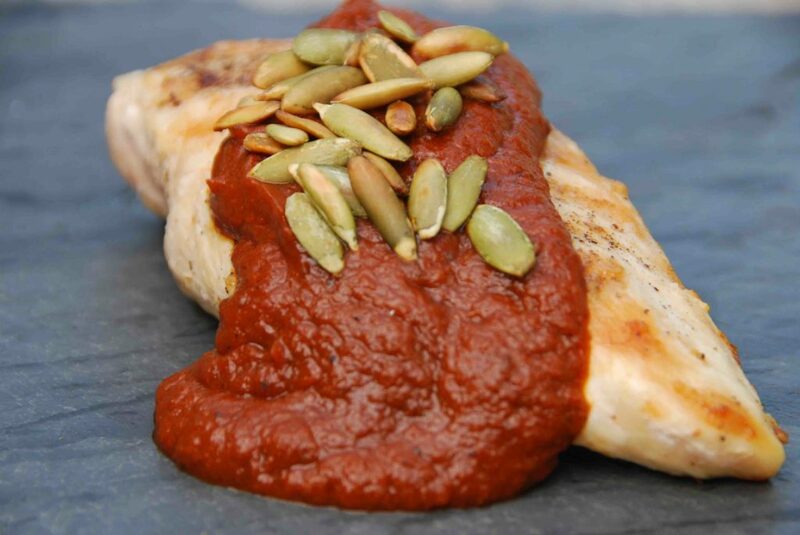 Keep Reading "Pumpkin and Ancho Chile Mole"